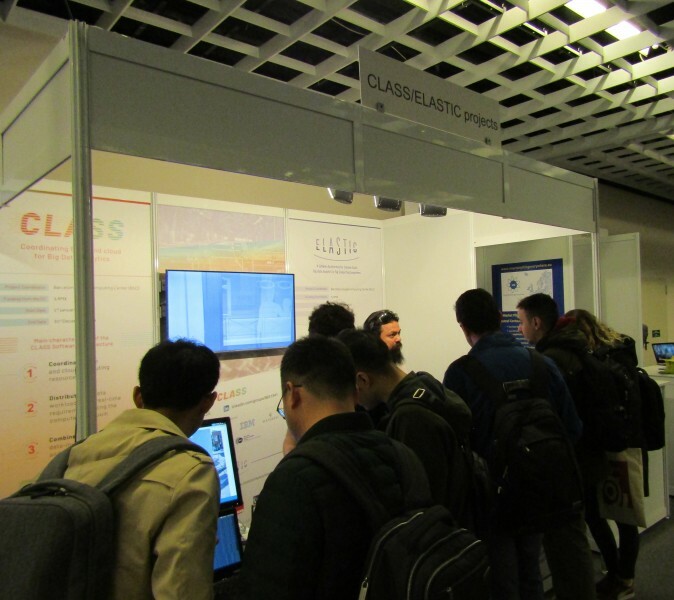 Our researchers were present at the DATE 2019 conference in March 26-28, in Florence, Italy, to showcase the CLASS technology. 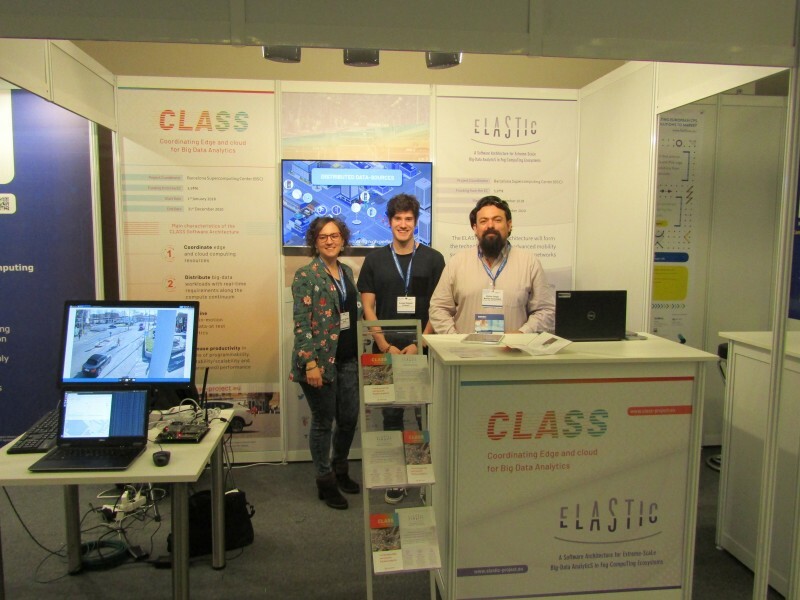 CLASS had a joint booth with ELASTIC project, as part of DATE’s exciting conference programme and exhibition. Attendees from all around the world visited the booth to learn about the project and its applications. The name of the booth was “Edge and Cloud Computation: A Highly Distributed Software for Big Data Analytics” and the aim was to show CLASS’ novel software architecture framework which helps big data developers to efficiently distribute data analytics workloads along the compute continuum (from edge to cloud) in a complete and transparent way, while providing sound real-time guarantees. CLASS researcher Maria A. Serrano who presented at DATE 2019, says: “It was a pleasure to welcome so many visitors to our booth at DATE and be able to showcase our technology with a live demonstration and videos. This was a great opportunity to interact with people in the field while presenting our research and receiving useful feedback”. Visitors were informed about the capabilities of the CLASS framework that will be demonstrated on a real smart-city use case in the City of Modena (Italy), featuring a heavy sensor infrastructure to collect real-time data across a wide urban area, and three connected vehicles equipped with heterogeneous sensors/actuators and V2X connectivity to enhance the driving experience. The DATE conference combines the world’s favorite electronic systems design and test conference with an international exhibition for electronic design, automation and test, from system-level hardware and software implementation right down to integrated circuit design. Out of a total of 834 paper submissions received this year, a large share (38%) is coming from authors in Europe, 28% of submissions are from the Americas, 33% from Asia, and 1% from the rest of the world. This distribution demonstrates DATE’s international character, global reach and impact.